"Jim and I would like to thank you for all you did to make the Lake George condo a reality. As I have told you before, we have worked with many Realtors over the years because of all the company moves we made. You were by far the best and easiest to deal with. You calmed us at stressful times. You provided information rather than pressure. In addition, you were always accessible, accommodating and eager to provide the answers to our many questions.".... Margaret L.
"I think Margaret summed up our sentiments very well. I might add, however, that if you weren't so good at what you do, I would have more money in the bank and be able to retire sooner---but then again we wouldn't have the condo at Lake George which has become very special already." 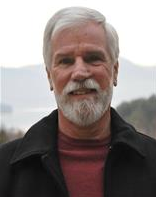 Jim L.
"It was a pleasure working with you in finding our 'Lake George Getaway'. We greatly appreciated your honest approach at advising us on the various properties." Donna & Doug S.
"Thank you so much for helping me find my perfect piece of the Adirondacks. It wasn't an easy task and I truly appreciate you never giving up on my house search. Many of my other friends buying houses had nightmare stories about their Realtor, but my experience was a pleasure."... Michelle M.
"Thank you so much for your invaluable help and advice. It is one year since you first showed us the house! Your friendship means a lot to us." Lynn S.
We achieved our lakefront purchase onlywith the help of Rich Waller. With his extensive knowledge and his trustworthynature he walked us through the purchase process. Rich even helped us find aweekly rental to ease the finances of the first year of owning this expensivehome. He educated us on pricing and financing....allowing us to develop a level ofcomfort as we moved to an offer. He informed us on the tax involved on propertygreater than one million so that we could make the best financial decision forus. We had found other realtors that would omit this information!